Are you an architectural aficionado? Or maybe you would prefer to be surrounded by amazing stores and shop for hours on end? If neither strikes your fancy, how about trying some ramen that will leave your taste buds asking for more? Tokyo Station has architectural domes that rival the cathedrals of Europe, an incredible indoor city with tons of shopping, and a street filled with some of the best ramen shops in Tokyo. 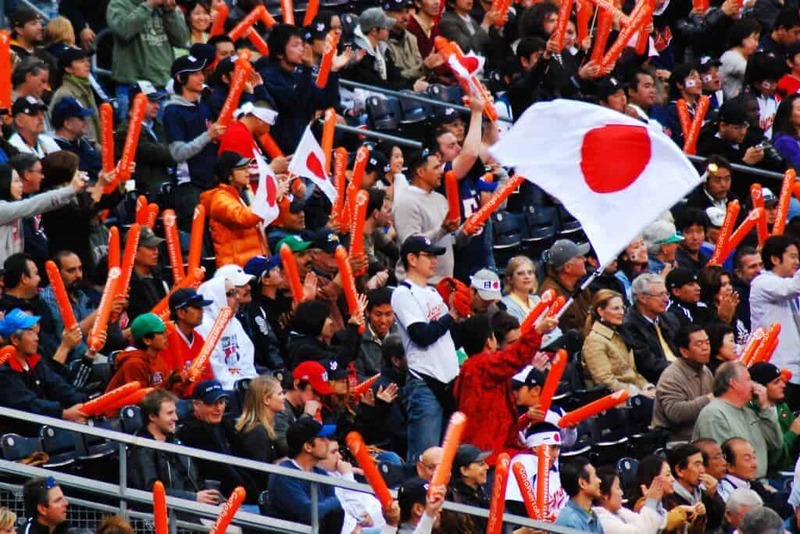 Is Tokyo Station Worth Visiting? Have You Been to Tokyo Station? 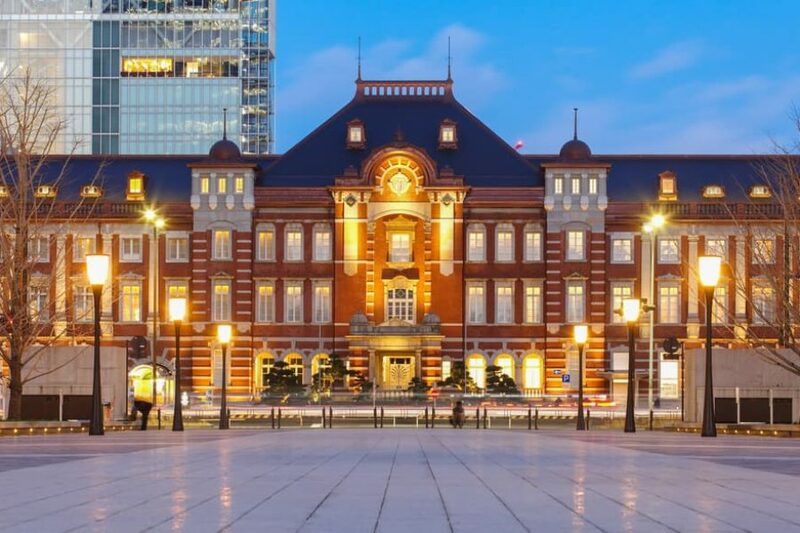 Tokyo Station is a beautiful historic building right in the middle of Tokyo. It’s the busiest station in Japan as measured by trains passing through each day. 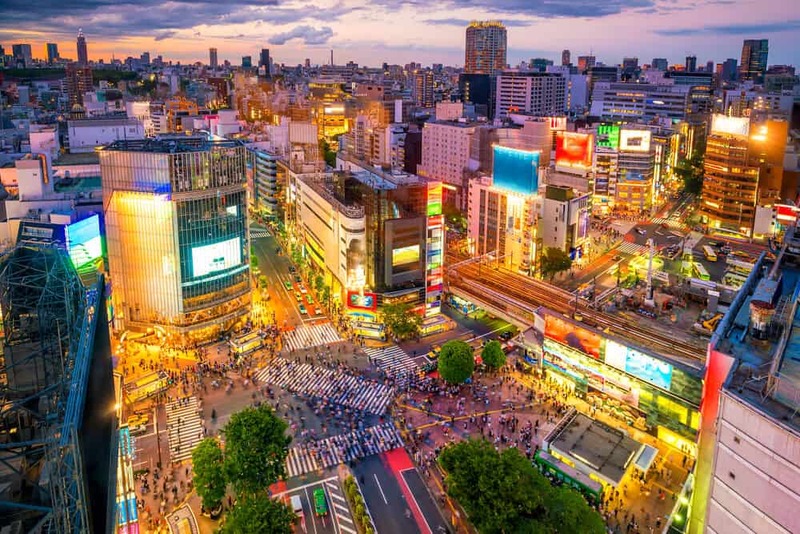 Tokyo station is the fifth busiest in Eastern Japan by passenger count. If you go to Tokyo, chances are you’ll find yourself in Tokyo Station at some point. Take your time exploring the historic building. With shopping, restaurants, and a hotel inside the station, you might find there’s no need to leave. Tokyo Station is an architecture fan’s dream. Shoppers will find plenty of stores to splurge themselves in. The restaurants are a delicious delight. 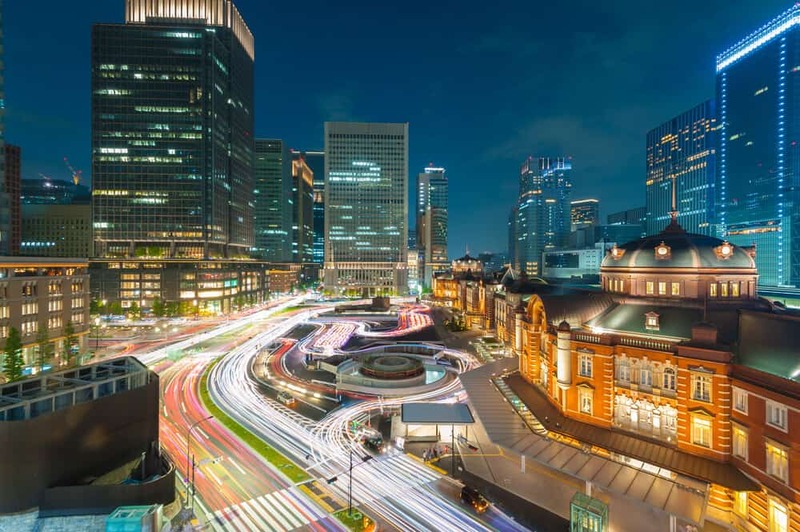 The architecture, shopping, and food at Tokyo Station is an attraction in itself. There are two sides to Tokyo station: Marunouchi Side and Yaesu Side. Marunouchi Side preserves the building’s original appearance. Construction began in 1908 and finished in 1914. 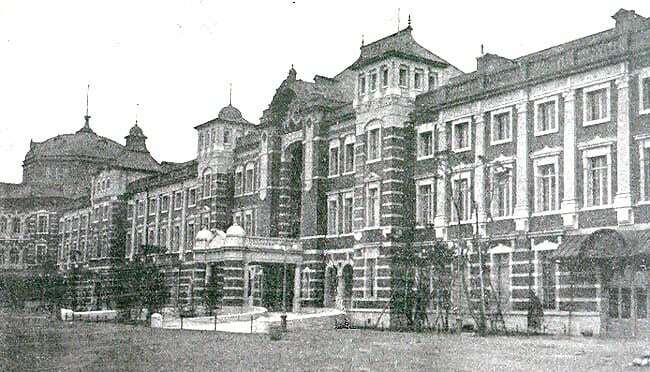 Architect Tatsuno Kingo designed the three-story brick building in a Neo-Baroque style. Bombing destroyed the station in WW2. It was rebuilt with two levels instead of three, and angular roofs replaced the domes. During the 80s, plans to rebuild the entire station came to a halt. A preservation campaign began. The Yaesu side of the station was developed, while the Marunouchi side was preserved. From 2007-2012, an intensive restoration took place. 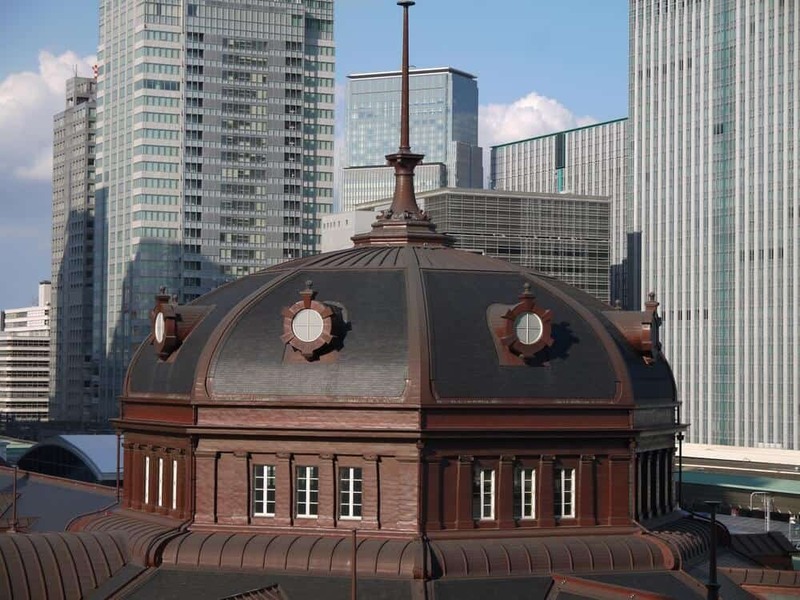 The Marunouchi side went back to its original glory, complete with domes. A plaza sits in front of the station, leading towards the Imperial Palace. The Marunouchi side is a beautiful contrast to the surrounding skyscrapers. On the outside, the historic facade looks calm and ordered. Within, the station is a hive of activity. The two domes are breathtaking in their Neo-Baroque glory. You’ll find one at each end of the building. Despite the ticket machines and the nearby trains, the space feels more like a cathedral than a station. The ornate plaster reliefs contain eight of the twelve zodiac animals. Light from the windows illuminates eight statues of eagles in flight. 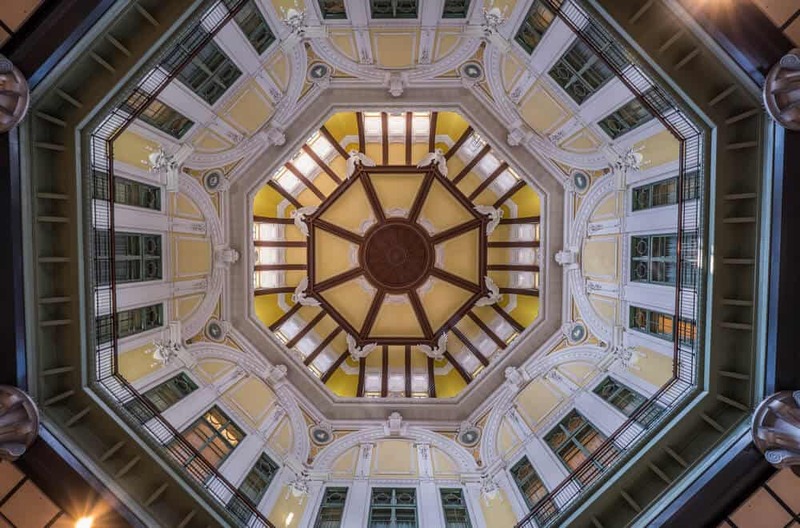 The North dome is the entrance to The Tokyo Station Gallery. The South dome contains the entrance to The Tokyo Station Hotel. 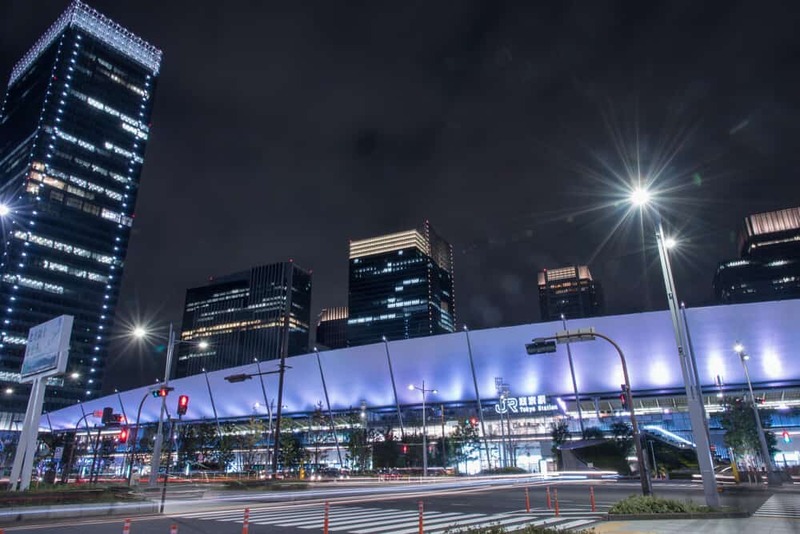 Tokyo Station’s Yaesu side is a modern counterpoint to the Marunouchi side. It opened in 1929. Damaged by bombing during WW2, Yaesu side had to be completely rebuilt. It was further damaged by fire and rebuilt in a contemporary style in 1953. 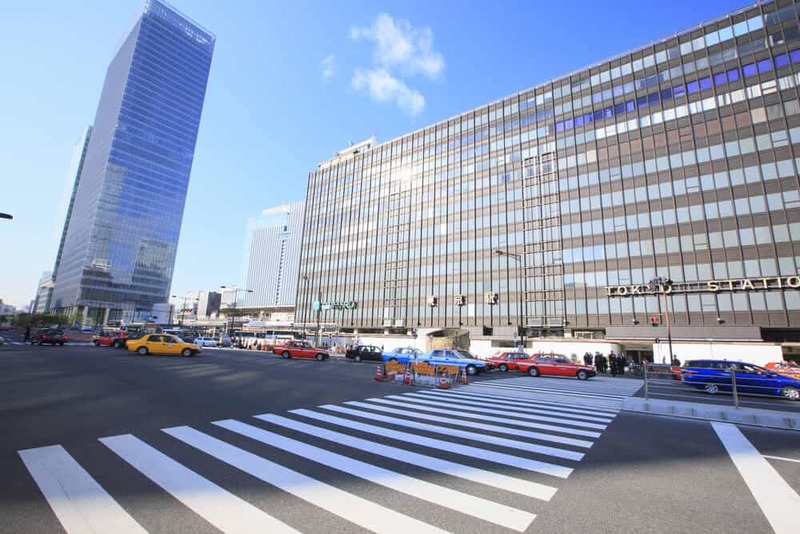 Yaesu side is renovated almost continually. More and more trains pass through the station each year. The original station had only four platforms. Tokyo Station now has ten platforms above ground, each serving two tracks. It also has the Shinkansen lines and an underground station. The underground station has four platforms serving eight tracks. The Yaesu Side features a glass front with a large canopy. It shields passengers waiting for buses at the Yaesu bus terminal. The glass structure resembles the sail of a ship pushed forward by the wind. Don’t miss it as it lights up at night; you’ll appreciate the innovative design. 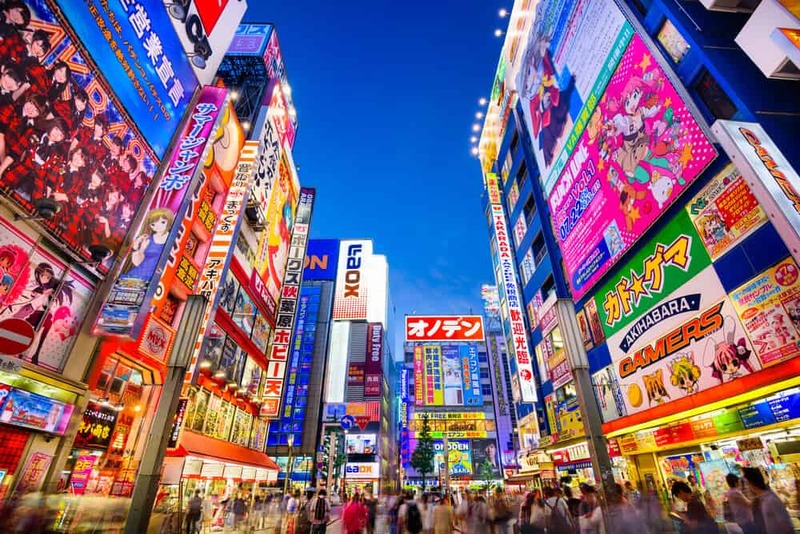 The Yaesu Side is synonymous with shopping. There are so many different types of shops that there’s something for everyone. There are many shopping opportunities available inside Tokyo Station. Tokyo Station City has Gransta, South Court, eCute, and Character Street. All within the ticket station! 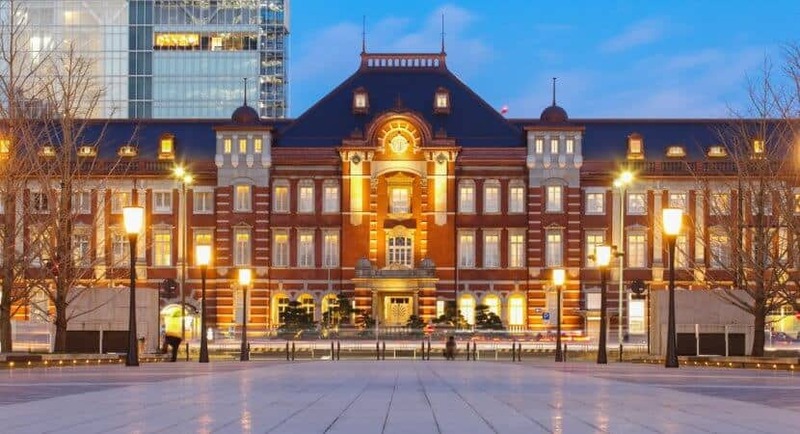 Check out this video tour of Tokyo Station and some of its shops. 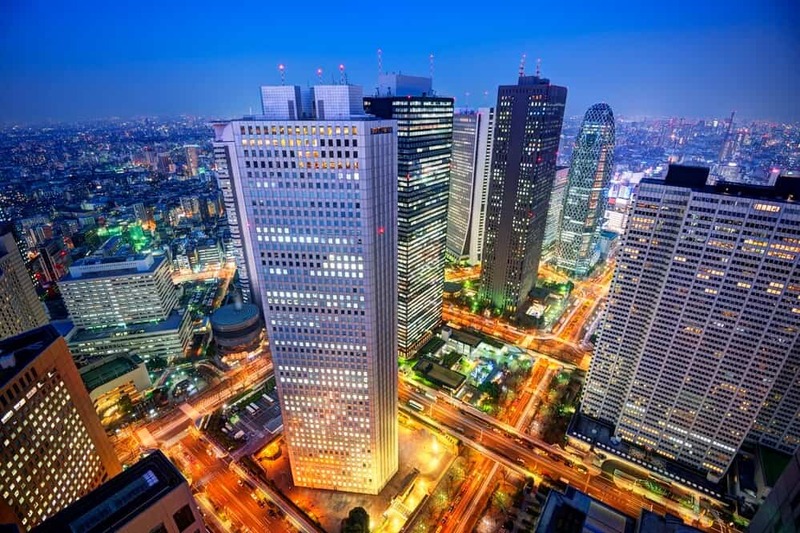 The Daimaru occupies the basement and first 13 floors of the Gran Tokyo North skyscraper. You can enter the skyscraper from the underground level of Tokyo station. 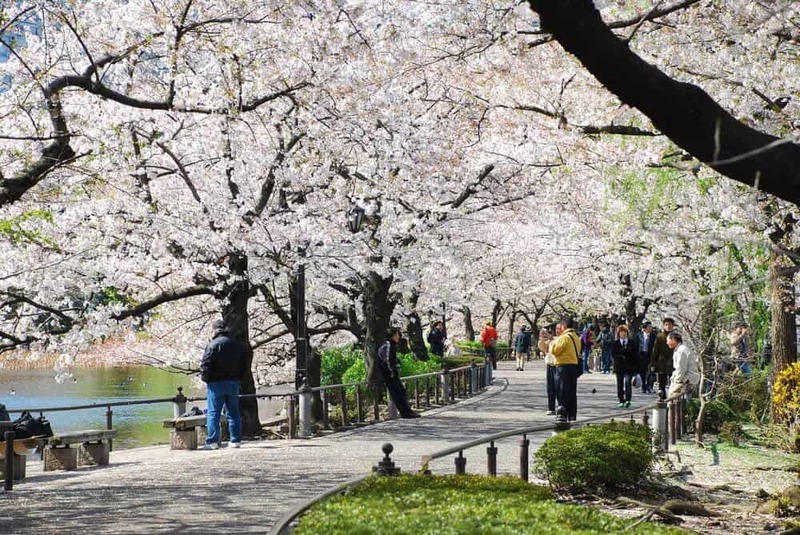 It’s a one minute walk from the Yaesu Side. Gransta’s 60 stores offer food items. They range from bento boxes to pastries and sweets. They also sell souvenirs, usually food related. Some of the snacks are unique to Tokyo Station. Fairycake Fair specializes in exquisitely decorated cupcakes. Want to satisfy your sweet tooth in a whimsical way? The zoo menu features a charming collection of cute animals. They include the caramel bear cupcake, the vanilla panda cupcake, and the chocolate raccoon. The standard cupcakes include strawberry shortcake and Mont Blanc. There’s a seasonal selection as well. Fairytale Fare offers souvenirs including cookies and jams. South Court features traditional Japanese goods re-imagined for today’s world. Modern items are made using traditional techniques. This leads to uniquely Japanese goods. 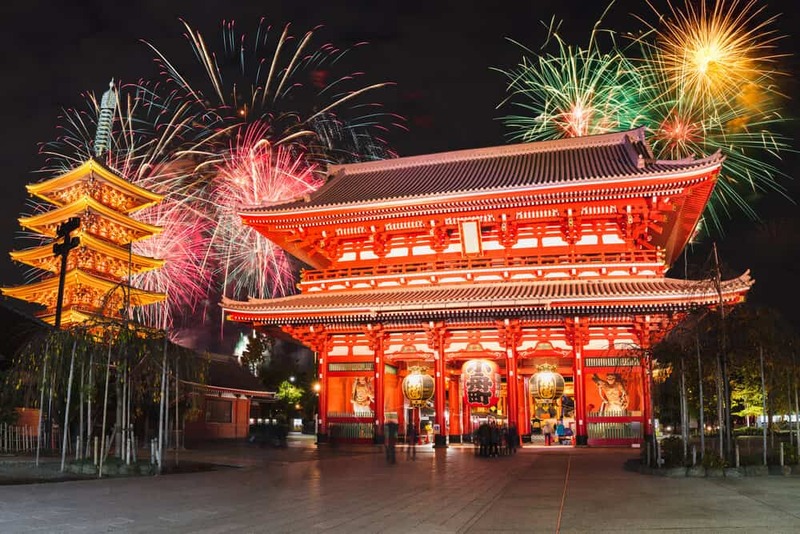 The gifts make ideal souvenirs for those attending the Tokyo 2020 Olympics. ECute’s shops offer tax-free shopping for foreign visitors. The shops include restaurants, nail salons, art stores, and bakeries. You can try some of the best ramen in Japan without leaving Tokyo Station! Ramen Street is a foodie’s delight. Eight top ramen stores have branches here, near the Yaesu exit. 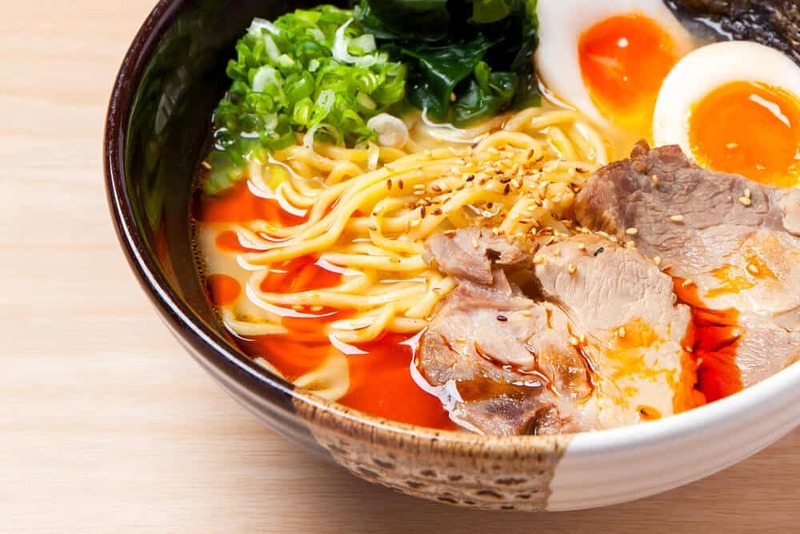 Ramen originated in China, but now it’s a Japanese favorite. Regional ramen variations abound. You might witness a heated but friendly debate about which broth, cut of meat, and toppings combine to make the best ramen. 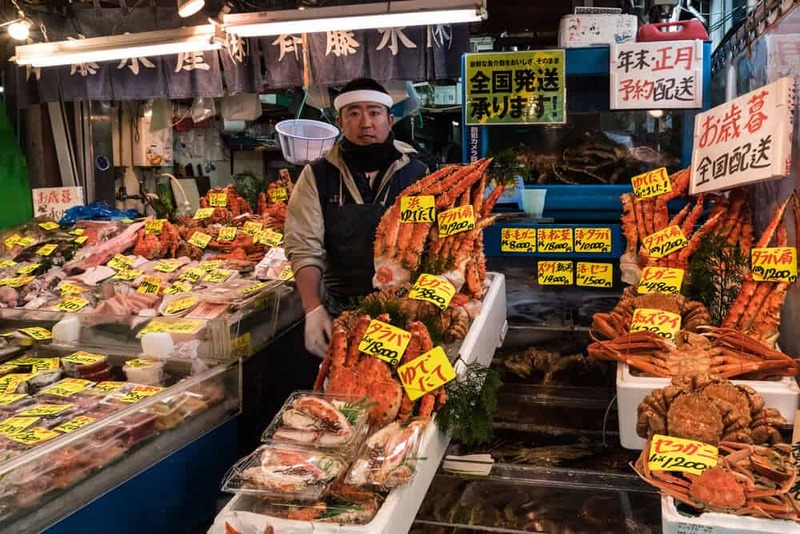 Check out the video below for an inside look at Tokyo Station’s Ramen Street. Any of the eight stores will serve you excellent ramen, but Rokurinsha is the crowd favorite. There’s almost always a line outside, even early in the morning. The line moves fast, so even at peak time, you shouldn’t have more than an hour’s wait. A basic bowl of ramen starts at around 830 yen. Character Street sells film and television themed items. Japan’s various TV stations have stores here, as does Sanrio, the maker of Hello Kitty. This is THE place to go for cute souvenirs. The goods include Hello Kitty collectibles and items featuring Japanese actors and actresses. Anime characters and mascots are available. International characters too, like Snoopy. 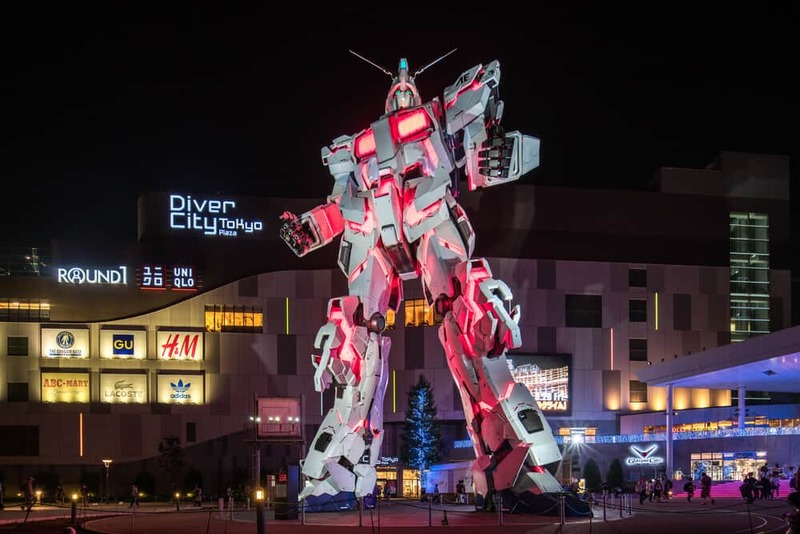 Ichiban Plaza hosts stores that are only open for a limited time. Character Street is near the Yaesu Underground Central Exit. You’ll love the wide array of food on Kitchen Street. Stop by Okashi Land for snacks, sweets, and souvenirs to go. Japanese snack manufacturers Glico (pocky) and Calbee have stores on Kitchen Street as well. So do Tokyo Cinnabon and quite a few adorable patisseries. Warning: Okashi Land can be hazardous to your waistline! Check out this video a quick peak at just some of the restaurants you can see on Kitchen Street. 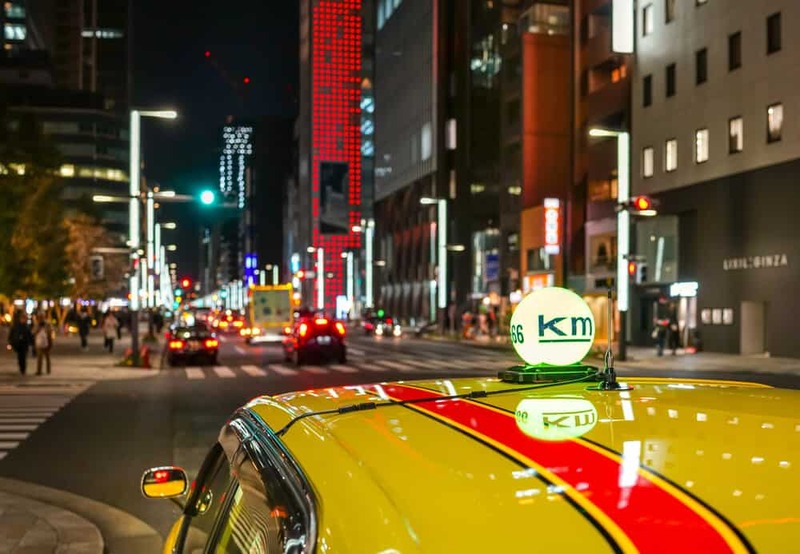 If you go to Tokyo, you’ll probably end up at Tokyo Station anyway. 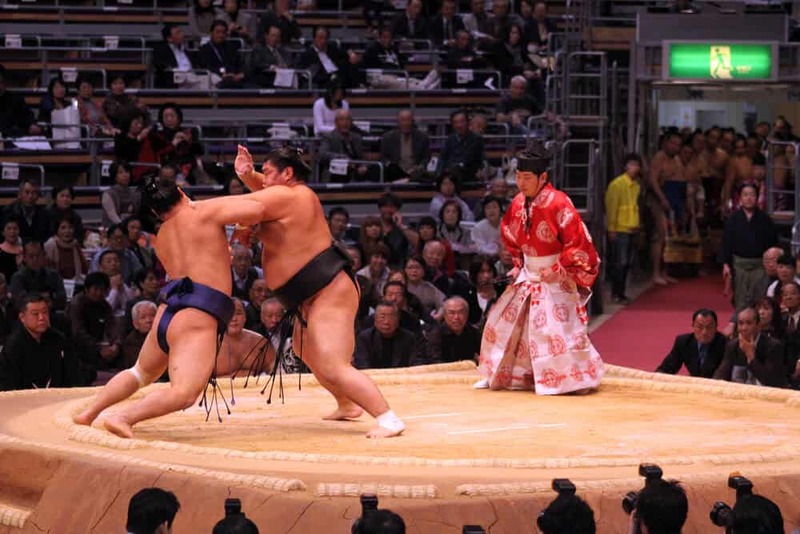 If you’re taking a Shinkansen, overnight train, or bus, you’ll find a surprising amount to do. Most shops and restaurants close at 10:00pm on weeknights. They close earlier on weekends and holidays. Tokyo Station is one of Japan’s major transport hubs. 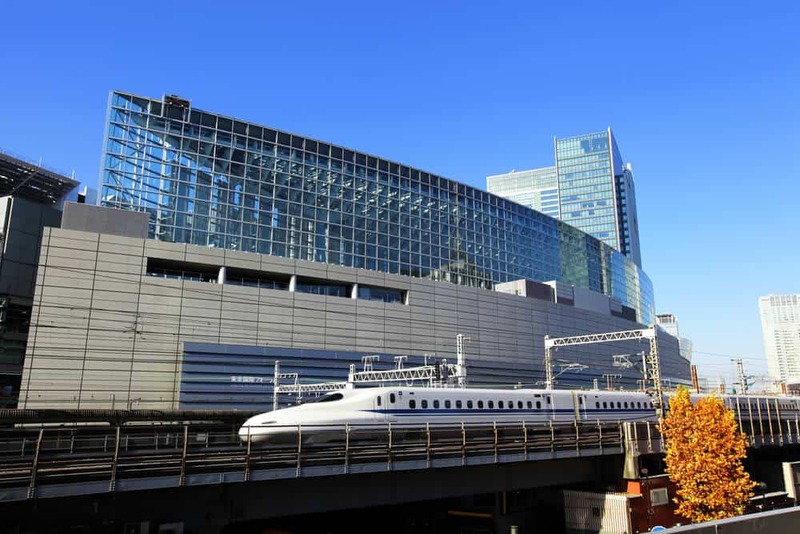 The high-speed bullet trains (Shinkansen) connect Tokyo station with other major train stations. Tokyo Station is also a local hub. Over twenty tracks connect it to Japan Rail’s extensive network of trains. Tokyo Station connects with the Tokyo Metro Marunouchi line. The Marunouchi line connects to the Toei Subway lines. 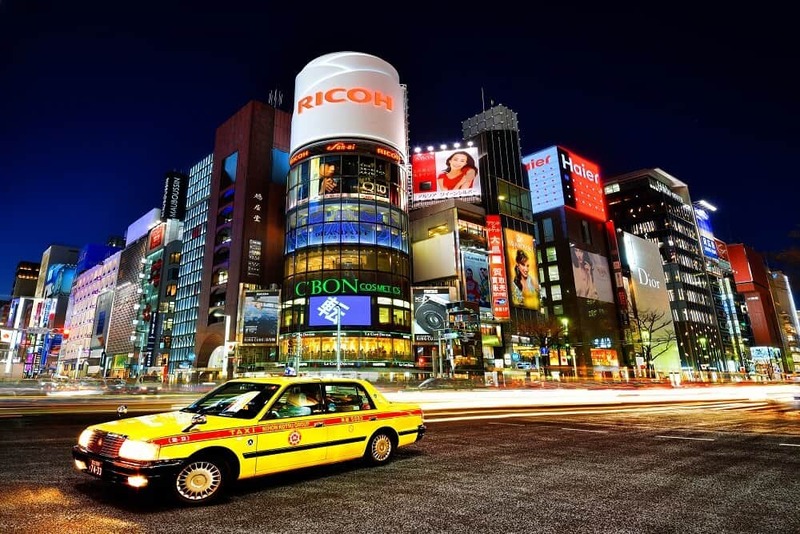 There are nine subway stations within walking distance of Tokyo Station. 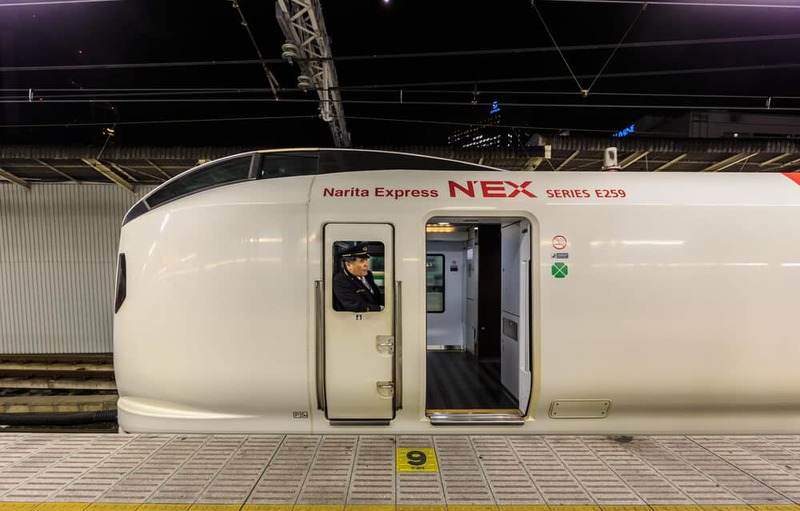 The Narita Express connects Tokyo station to Narita airport. Narita is Japan’s major international airport. Buses go from Tokyo Station to Narita as well. Tokyo’s other airport, Haneda Airport, also connects to the station by bus. Or, take the train lines to Shinagawa and change to the airport monorail. Many buses begin or end their journey at Tokyo Station. 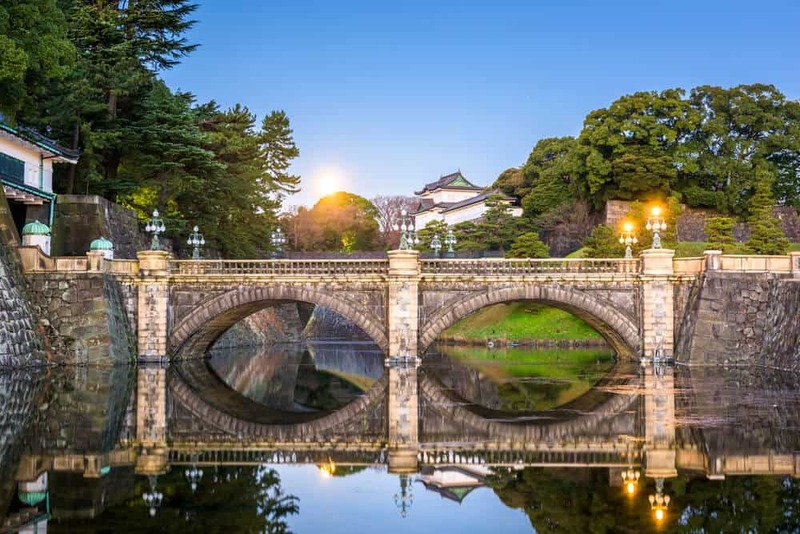 Buses range from airport buses to sightseeing tours of Tokyo. Some go to Mt. Fuji and other areas around Tokyo. 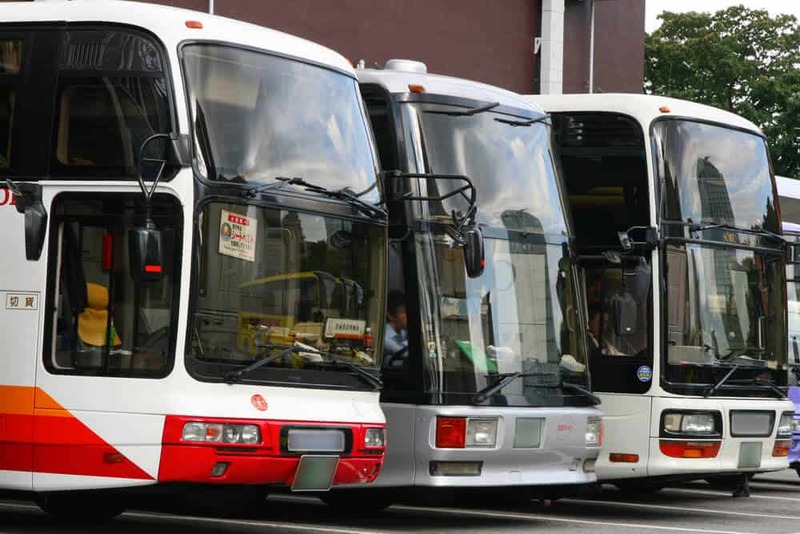 Overnight buses go to Osaka, Hiroshima, Sendai, and many other destinations. Taxi stands sit outside the station. Given the relative cheapness of public transport, taxis aren’t a good option. The only exception: traveling between 1:00am and 5:00am when the trains and subway have closed for the evening. Be aware that the fare increases during the evening. If you arrive at Tokyo Station early in the morning, treat yourself to breakfast with an amazing view. From the Marunouchi North Exit, head across the road to the Marunouchi Hotel. Take the elevators to the 7th-floor lobby. Stop and enjoy the incredible scale model of Tokyo station. Then, head to the restaurant on the 8th floor. Breakfast is from 6:30am to 10:00am, and costs 2,970 yen per person. It’s a buffet. The selection is first-class and the service impeccable. While eating, you look down on Tokyo Station. You can admire the historic facade and see the trains rolling beyond the station. Don’t miss the restaurant floors on the Shin-Marunouchi and Marunouchi buildings. They offer a fantastic view of the station’s exterior. Both buildings sit in front of the new plaza on the Marunouchi side of the station. Did you feast your eyes on the breathtaking architecture? Did you shop for character souvenirs? Have you tried the food? Would you like to? Let us know in the comments. Don’t forget to share this article with your friends. 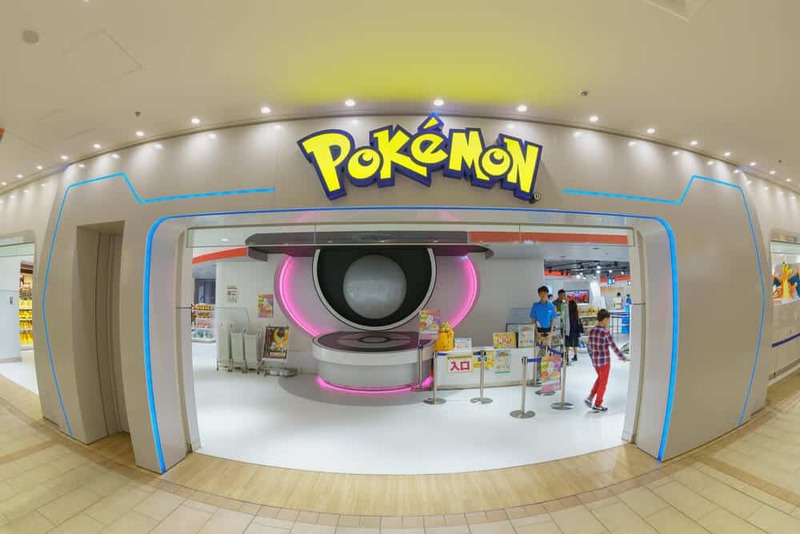 You might help them find something fun to do the next time they have a layover in Tokyo Station. Having said that, the Station’s attractions are not just for killing time. You’ll love the architecture, food, and shopping. 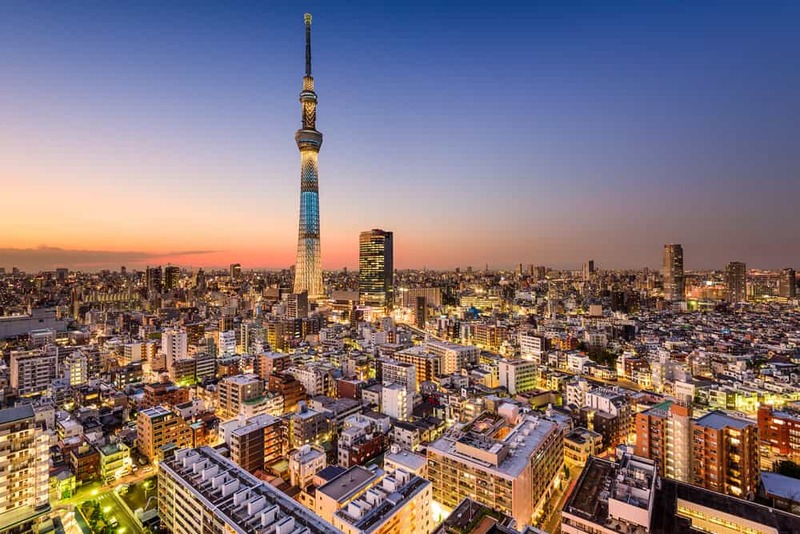 Don’t take our word for it: visit Tokyo Station and let us know what you think.